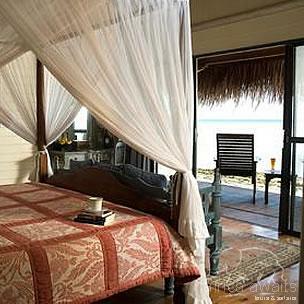 True hedonistic pleasure awaits at this romantic and exclusive Mozambique island getaway. A perfect backdrop of endless white sand and translucent sea mesmerizes all who visit, whilst the untouched marine environment allows for constant new discoveries, whether your passion is diving, fishing, snorkeling, or simply exploring unspoilt beaches. "Medjumbe Private Island, off the coast of Mozambique, is just one kilometer long and 350m wide at high tide - a castaway fantasy come true. With only 13 beach chalets, each one a few steps from the ocean, the island offers real barefoot luxury and total privacy." Men's Health Best Life magazine. In addition to private beaches, countless coves to be discovered and blissful surroundings to be experienced, Medjumbe also cater for numerous activities. 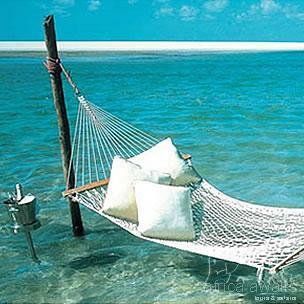 For example, the coral reefs surrounding Medjumbe are one of Mozambique's best kept secrets. The untouched marine environment allows for constant new discoveries, what ever your passion is. 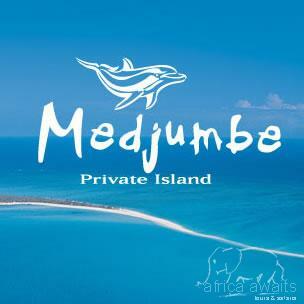 With your holiday, safari or business trip from in to Medjumbe Private Island in Mozambique.